© 2018 Scratchu.com Chettaniki Kallu Levu | Chiranjeevi, Madhavi, Lakshmi, G.V. 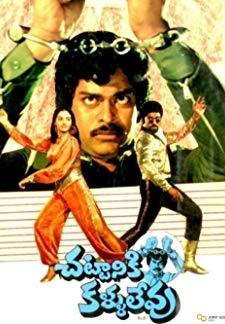 Narayana Rao, Kannada Prabhakar, Hemasundar, Ceylon Manohar, Narayana P.L., Mohan Babu, Pandharibai - Chettaniki Kallu Levu (1981) | Telugu Movie | 7.9/10 | Synopsis : As a young boy, Chiranjeevi sees the murder of his father and sister, but the killers are released because of lack of evidence. This enrages him and he is out to seek revenge in a way not ... ... Watch Online!! !